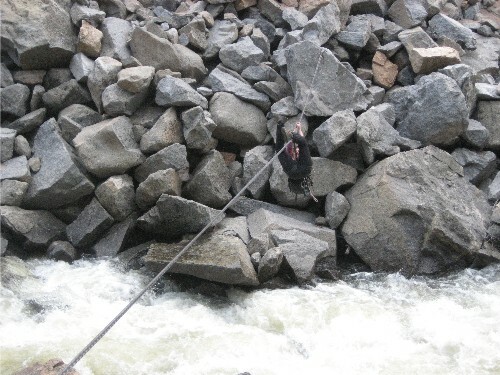 Encountering high water or swift water on spring hikes isn’t uncommon. Warmer temperatures are causing winter snow to melt, so streams, creeks, and rivers are gushing. I just wrote an article for the About.com Survival Skills website titled “How to Make Improvised Flotation Devices,” which offers information about how to use items such as clothing, deadwood, plastic bags, empty containers, and other items as floatation devices. While improvised floatation devices might not have the durability or buoyancy of manufactured life jackets or other high-quality personal floatation devices, it’s good to know how to make them in case you need something to help support you when you need it the most. Want more information about how to make your own floatation device? It’s (finally?!) spring here in the Vail Valley. 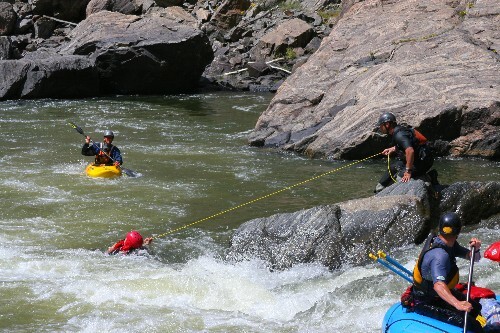 Even though the snowfall this year wasn’t exactly epic, we got a few good spring snowstorms that will make an impact on this summer’s rivers, streams, and creeks. As temperatures are on the rise, people are out on their bikes, and hikers are getting back out on (currently muddy) trails. 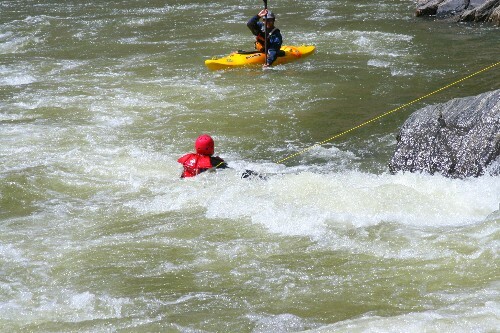 Swift water encounters may be dangerous at this time of year, especially, as unsuspecting hikers may not have planned ahead to cross bodies of water swollen with spring snowmelt. Waterways that are barely flowing in the fall may be treacherous to cross at this time of the year. 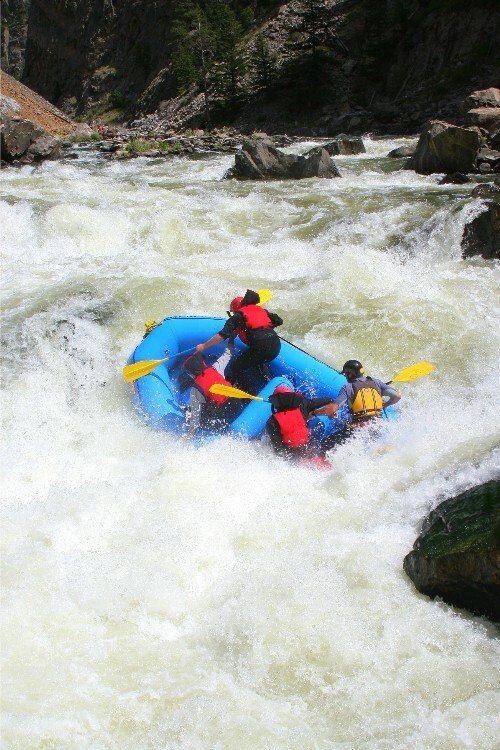 Therefore, it’s important to check on local conditions before going out and to plan carefully for any potential swift water crossings by carrying rescue gear such as a throw bag and a personal floatation device. I wanted to share some images of a successful throw bag rescue; even though this one focuses on a rafting situation, I thought that it would 1.) 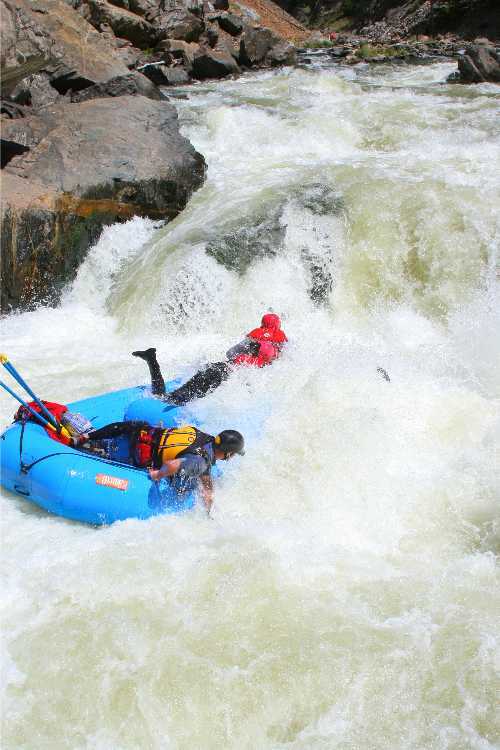 get you excited for upcoming rafting and kayaking, or 2.) remind you how to use a throw bag in any situation, or 3.) both 1.) and 2.). 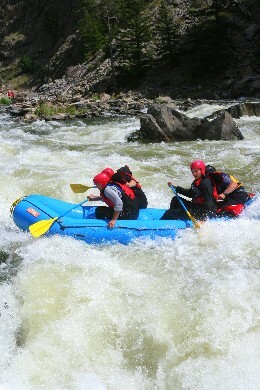 Above right, there’s the raft on its approach (notice the foaming rapids and squirrely-looking boulders). Want to know more about how to use a throw bag? 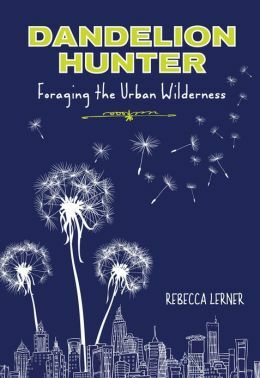 Title: Dandelion Hunter: Foraging the Urban Wilderness // Author: Rebecca Lerner // Publisher: Lyons Press // Pub. Date: April 2013 // 224 p.
I recently read Rebecca Lerner’s Dandelion Hunter: Foraging the Urban Wilderness and wanted to share some quotable moments here. In this book, author Rebecca Lerner takes on a weeklong challenge to eat only the wild, edible plants that she forages from the surroundings near her home in Portland, Oregon. At first, she fails in this quest after only a few days, but then she learns a lot from the animals (including people) in her surroundings and tries again with renewed commitment, skills, and success. I found Dandelion Hunter to be an inspiring and engaging read. Learner writes with a humorous style, and she also includes relevant historical details for context. While the book isn’t a practical how-to primer about how to forage for edible plants in your surroundings, it will inspire you to get in touch with your inner hunter-gatherer. Want to know more about Rebecca Lerner’s book? If you thought that quicksand was a made-up terrain trap only encountered in old, overly sensational Western movies…then you’re mistaken. Quicksand is a real threat, but it kills people only rarely. A few tragic quicksand deaths have occurred in the past few years as people have gotten sucked into sinking sands on beaches, and I also just read about a tragic case in which two teenage boys were killed by quicksand that had pooled at an excavation site. Quicksand can occur anyplace where the conditions are right. Basically, fine sediment and water are the key ingredients. 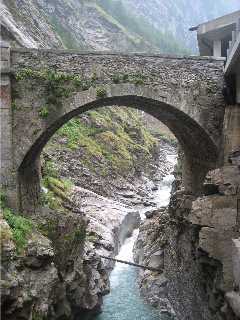 When water cannot escape the sediment, it creates a soupy mixture that can’t support weight. 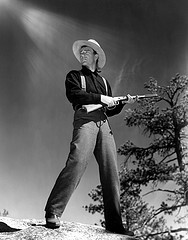 Quicksand can occur in standing water or water that flows upwards, such as a spring. Want to know more about quicksand, how it works, and how to survive a quicksand encounter? Photo © Flickr® user erjkprunczýk. 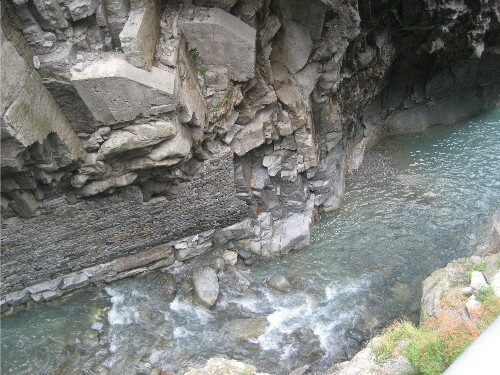 In the mountains, springtime poses several potential terrain hazards including unexpected snow slopes, rockfall, mudslides, and swift water. 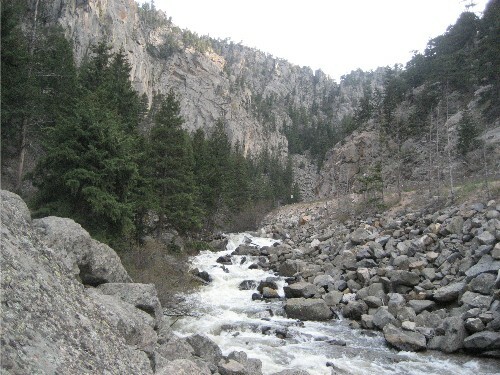 It’s lovely to hike along a bubbling alpine stream; however, in the springtime creeks, streams, and rivers can rise quickly after speedy thaws and rain storms because the soil may already be saturated by water from snowmelt. Luckily, my friend Deb and I were equipped with climbing gear on this day since we were planning on crossing Boulder Creek to rock climb. We just put on our climbing harnesses and rigged up a sweet way to make this tyrolean traverse. 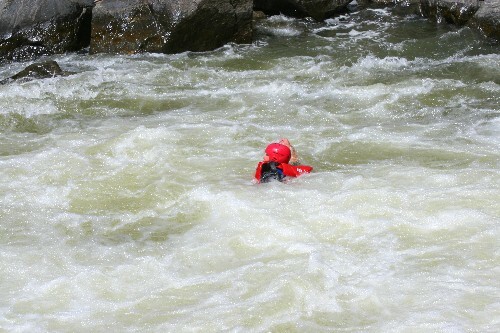 Crossing swift water isn’t always so simple; neither are the other challenges that hikers face in the spring. Want to know more about how to survive spring terrain challenges?